You Are Here: YULONG SAFETY > Question & Answer > Why Should Welders Wear Flame Retardant Workwear? Why Should Welders Wear Flame Retardant Workwear? 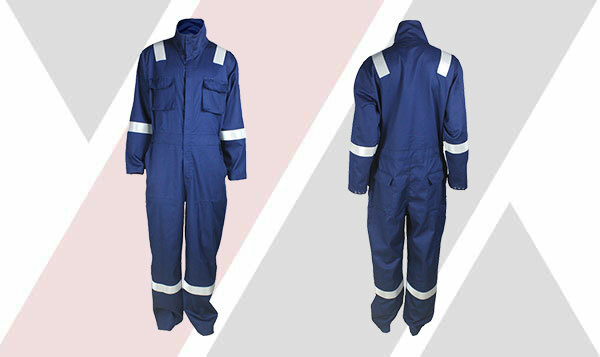 Xinxiang overalls custom-made Yulong textile flame retardant workwear are generally suitable for electric welding, chemical, petroleum and other places close to the fire source. According to the type, it can be divided into three types: temporary, durable, and permanent. Relatively speaking, the temporary washable number is limited to one time, and the durability can be generally washed up to about 50 times. The creation of these principles is largely determined by the flame retardant attached to the fabric of the workwear . In general, custom-made flame retardant workwear should start with fabrics. The flame retardant fabrics used by Yulong Textile, a brand-name manufacturer of Xinxiang workwear , are generally classified into durable and permanent flame retardant fabrics. 1. Durable flame retardant fabrics are generally cotton, polyester-cotton, cotton-polyester, in which the cotton fabric is finished and flame retarded, so the flame retardant fabric has high strength, tear resistance, strong resistance to breakage, and good air permeability; The flame retardant fabric is comfortable, breathable and breathable, comfortable and safe to wear. Different weight fabrics are used depending on the season of wear. 2, permanent flame retardant fabrics commonly used are aramid, polysulfonamide, nitrile chloride and so on. Aramid fabric is mainly divided into two types, para-aramid fiber (PPTA) and meta-aramid fiber (PMIA). The former, such as aramid 1414-Kevlar, has ultra high strength, high modulus and high temperature resistance, acid and alkali resistance. Excellent performance such as light weight and dimensional stability; the latter, such as aramid 1313-Nomex, has a limiting oxygen index of more than 28%. Disadvantages of aramid: expensive, poor dyeability. The polysulfonamide is a para-aramid series and is an aromatic polyamide fiber containing a mercapto group in the main chain of the polymer. The limiting oxygen index exceeds 33%; it has good dyeability, electrical insulation, chemical corrosion resistance and radiation resistance. Nitrile Chloride Fiber - A modified acrylic fiber is a copolymer of an acrylonitrile monomer and a flame retardant-containing vinyl compound. It has a wool-like feel and high flame retardancy, and is acid and chemical resistant. How to identify the flame retardant composition of flame retardant workwear when customizing? As a manufacturer of flame retardant workwear in Xinxiang area, Yulong Textile has been engaged in custom-made work clothes for 16 years. The following two aspects are explained for you. 1. The unqualified PH value is mainly due to the fact that the molecules of natural fibers such as cotton contain hydrophilic groups such as hydroxyl groups, which have a certain affinity with acids and bases. If the water is washed (neutralized) is not thorough enough in the production process, or washed The various finishing agents added in the process are not regulated, and acid and alkali residues are present on the fabric. 2. The unqualified rate of color fastness is also high. Internationally, especially in developed countries and regions, mandatory testing requirements for clothing color fastness indicators are proposed. For example, the most representative Oeko-Tex100 in Europe lists color fastness as a safety item, specifying specific technical requirements. 2, The use of convenient, durable and safe insulation buttons. The upper body is made of flame retardant workwear with a safe and convenient built-in pocket, and the cuffs are equipped with adjustable buttons. 4, The flame retardant workwear is made of fabric, the flame retardant fiber in the fabric makes the burning speed of the fiber greatly slow down, and the fire source is extinguished immediately after the fire source is removed, and the burning part is quickly carbonized without melting, dripping or piercing, giving The person withdraws from the burning scene or takes off the burning clothes on the body to reduce or avoid burns and burns for protection purposes. Widely used in oil fields, petrochemicals, gas stations, chemicals, fire protection, etc., where there are multiple protection requirements for clothing. PREVIOUS POSTWhat are The Characteristics and Protective Measures of Electric Welding Overalls?